GYROTONIC® movement progressions. This movement system balances at every level, including mobility, strength, and coordination whatever the physical issue. There are Specialized Therapeutic Applications for Scoliosis, herniated discs, and injuries to the shoulder and pelvic girdles. While there are many set programs for therapy, each person’s individual program is based on individual needs. GYROTONIC®® is a holistic movement system which incorporates the whole body into every one of its exercises. Through this process, a synergistic and more integrated relationship with affected areas and the rest of the organism is developed. 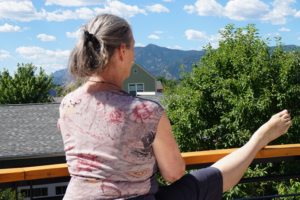 Educating the body on how to use breath actively and effectively is part of all GYROTONIC® programs. It is the beginning of the integration process for all physical or energetic issues. As a result there are sometimes great benefits to the body and being which perhaps are beyond the original concern. There has also been great success in the world of GYROTONIC® movement for post surgery rehabilitation of the spine and knees in addition to the rest of the body.